If your doctor tells you that your symptoms are caused by the common yeast germ, Candida albicans, then there are changes you can make in your diet that will improve your symptoms. Diet plays a major role in the successful management of yeast-connected illnesses. The first step is to find out if you are allergic to foods by doing an elimination diet for 2 – 3 weeks. It is recommended that you see a nutritionist to assist you with this process. The most frequent food offenders in individuals with candida are milk, corn, wheat, yeast, eggs, citrus fruit, and sugar. However, any food may cause an adverse reaction. To control candida through diet, follow the dietary guidelines listed on this handout. Be sure to avoid foods that cause allergic reactions. If you find you have multiple food allergies, then you may want to try rotating foods in your diet. In rotating your diet, you eat an offending food only once every 3 – 7 days. For example, if you find that you are allergic to dairy, yeast, and corn, then you may be able to tolerate eating dairy on Monday, yeast on Tuesday, and corn on Wednesday. Then on Thursday you can eat dairy again. Most individuals with candida-related illness find that as they improve, they can follow a less rigid diet, especially if they are following other measures to regain their health. Included are the use of medications (prescribed by your doctor), taking nutritional supplements, exercise, and avoiding exposure to environmental chemicals and mold spores. Foods you can eat freely . . .
Foods you can eat moderately . . .
Foods you must avoid . . . 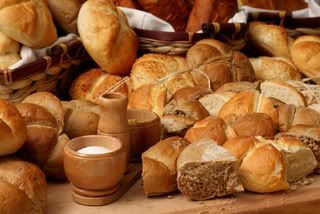 If you are allergic to yeast, you must avoid all foods that contain yeast or molds. . .
10. Have you had athlete’s foot, ring worm, “jock itch,” or other chronic infections of the skin or nails? For each of your symptoms, enter the appropriate figure in the Point Score column.